On November 7, 2012, the victim reported unknown subject(s) made thousands of dollars in fraudulent charges on his American Express card. The AMEX card was in possession of the victim when the transactions occurred. 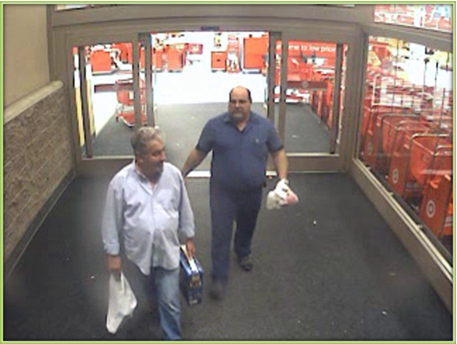 The suspects below were captured using the victims AMEX card at multiple Target locations throughout Palm Beach County on November 6, 2012 between 4:00 and 8:00 pm. The suspects were last seen driving a dark colored Ford Expedition.